Frogs and toads belong to a class called Amphibia. For this reason they have several characteristics that are alike. Nevertheless, each has distinct features that demarcate their differences. These can also be seen in their eggs. 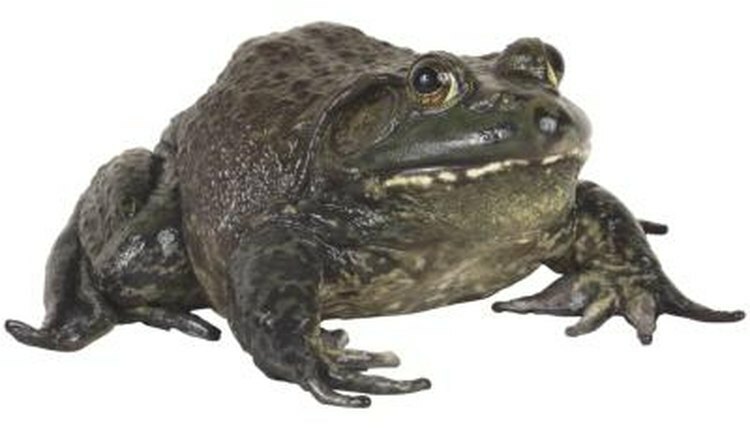 Both toads and frogs breed in the water. However, their eggs look very different. While toads’ eggs are attached to grass or leaves near water edges, in long parallel strands that resemble strands of black beads, frogs spread their eggs on water surfaces in large, round clusters. For that reason frogs' eggs are more visible than toads’ eggs. The embryos in frogs' eggs appear like black spots in the middle of transparent gel-like globules. The black color helps them hatch faster by absorbing more heat from the sun. Both toads and frogs take approximately seven to 10 days before their eggs hatch. However, frogs' eggs may hatch earlier than toads' eggs since they absorb more heat, which accelerates the process. On hatching, toad tadpoles are generally darker than frog tadpoles. They undergo similar metamorphoses on the day of hatching, characterized by loss of the gill pouch, and digestive adaptations that help them to thrive on land. While frogs seek waters that are free of fish for their breeding sites, toads do not: their eggs are rarely preyed on because of the foul-smelling toxic secretions the toads spread on them. Toads will tend to return to the ponds in which they were hatched. Toads enjoy an easy time as far as protection of their eggs is concerned. Unlike frogs, toads hardly protect their eggs from predation. Their bad-smelling toxins are enough to repel predators. However, frogs have to fight tooth and nail to protect their eggs. In many frog species it is the male's singular duty to provide protection to the eggs. Some, such as the Darwin frog, do so by swallowing the eggs and keeping them in the vocal sacs until they hatch.